"The paint is a single-component moisture-curing urethane. Urethanes are one of the stickiest paints you can buy." 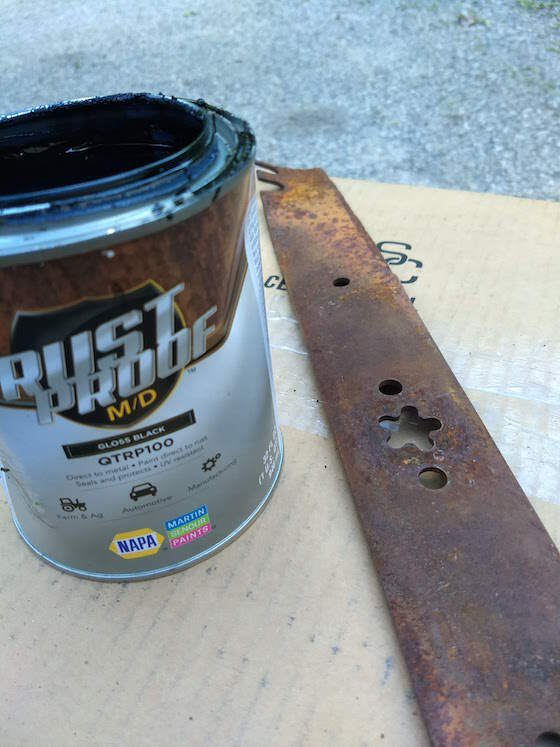 Rustproof MD paint is a special coating for rusty metal. Coating is a fancy word for paint. The Rustproof MD has a very stick urethane resin, or glue, in it that allows it to bond to rusty metal like your shadow sticks to you. XO Rust vs Rustoleum Salt Test - DO NOT SHARE! Do You Have to Remove All Rust? No, you don't have to remove the rust. I'd get rid of the loose scale and wire brush any really rough areas. Just brush off any rust dust and apply. CLICK HERE to get FREE & FAST BIDS from local painters who can get this paint. No. 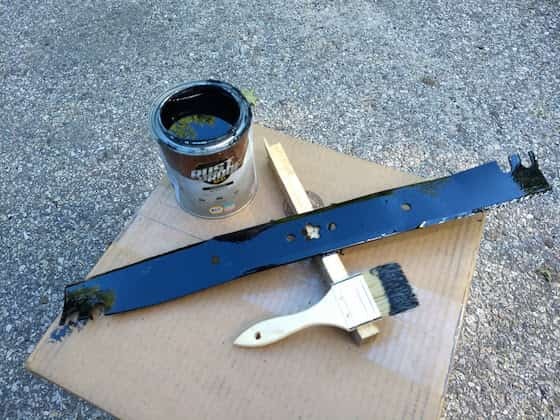 There's no need for a primer with Rustproof MD paint. It flows onto the rusty metal and its thick body produces a smooth finish in most cases. Why is Rustproof MD so Sticky? The paint is a single-component moisture-curing urethane. Urethanes are one of the stickiest paints you can buy. The paint is so sticky that if you don't clean all the paint from the lip of the can as well as the lid before you tap the lid back on to put the paint away, you'll never get the lid off again. Is It Hard to Clean Up Rustproof MD Paint? This paint is not water-based and it's more of a challenge to clean you and anything else that gets paint on it. The special solvent vehicle is but one reason why it sticks so well to the rusty metal. I used mineral spirits to clean my hands. You may want to think about using disposable chip brushes you can throw away as you may spend lots of money cleaning a high-quality brush. Will Rustproof MD Resist Sunlight? Yes, this paint has special built-in UV resistance. Over time the sun's photons will blast apart the paint, but you might have sold the item you painted on Craigslist or a Facebook Garage Sale group. Where Can I Buy Rustproof MD Paint? You can only get this great paint at a NAPA Auto Parts store. Most give you a discount if you're an AAA member. Ask for it. 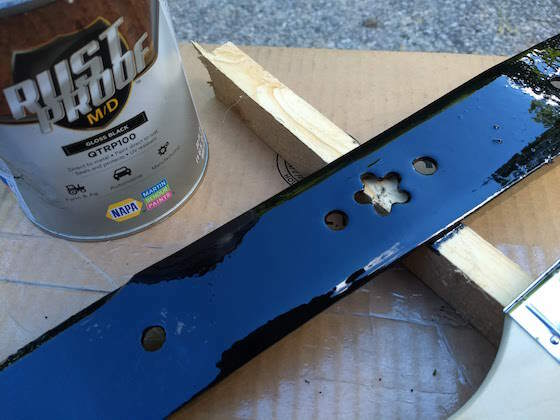 Rustproof MD paint is a urethane coating that chemically sticks to rusty steel. It's a marvelous way to prevent rust. Tim: where do you buy this paint??? Did you read the last question in the column? That sounds like great paint! Thanks for the info! Be careful of the flashpoint (flamability) for paints thinned with acetone. 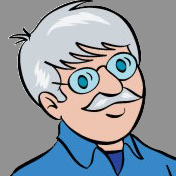 I believe the reason manufacturers recommend acetone for thinning is that it does not come under VOC limitations like mineral spirits paint thinner does. Looks like good paint. Thanks for pointing it out to us. Mr. Tim, I found this last year or so. I’ve been using Rustoleum Reformer ever since.